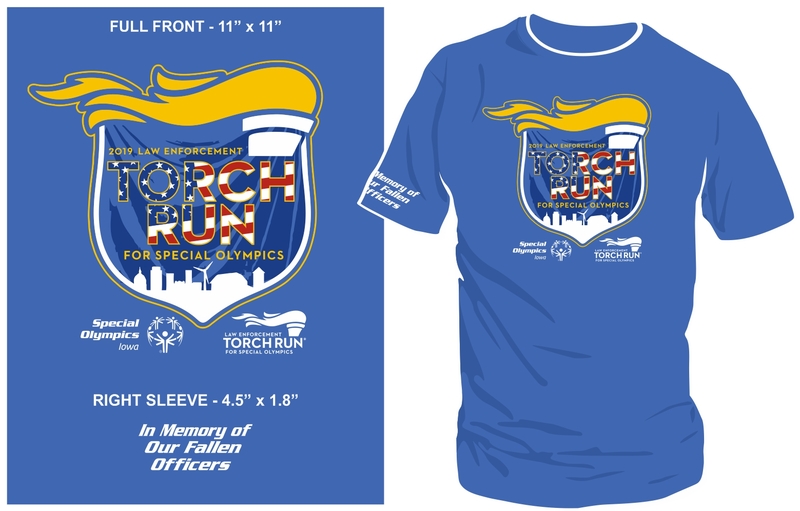 Each year, law enforcement officers throughout the state sell supporter t-shirts to raise money for Special Olympics Iowa and show their support for the Torch Run. Sales begin in mid-February and continue through the remainder of the year. **There is no white collar as shown in the picture above. The shirt is completely blue.